School kids have come across human skeletal remains revealed by coastal erosion at Crimdon Dene near Hartlepool, north-east England. As a crouched burial, assuming it is a burial, could it be prehistoric? Bronze Age? Or even older? Evidence for Mesolithic burial in the UK, for example, is virtually non-existent outside Somerset and the odd finger in Scottish shell middens, unlike Denmark and Scandinavia. There are some challenges too. How do you investigate such a find in a highly unstable environment like sand dunes? I’m sure there’s more news to follow from Tees Archaeology. 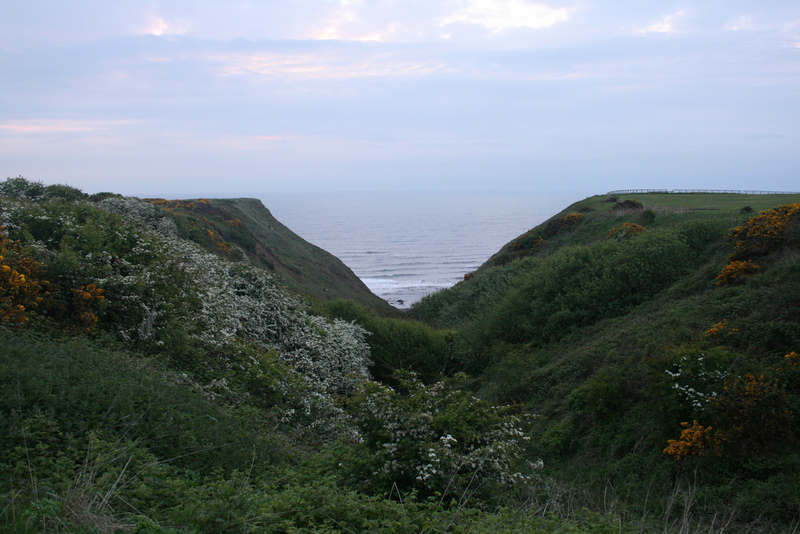 Crimdon Dene¹ is also known for extensive Mesolithic flint scatters discovered in the 1940s. Filpoke Beacon², 1.25km north, produced one of the earliest Late Mesolithic radiocarbon dates for geometric narrow blade microliths: 8760 +/- 140 BP³ (Q-1474) based on carbonized hazelnut shells. A submerged forest sits off the coast south of Hartlepool and has revealed Late Mesolithic and Neolithic evidence including flints and a possible fish weir (see Tees Archaeology’s monograph). Bronze Age burials, albeit in stone cists, were discovered in the vicinity of the Mesolithic house at Howick, Northumberland Coast. I know where my money’s going—but dreams at least are free! ¹ Young, R. 2007. ‘I must go down to the sea again…’ A Review of Early Research on the ‘Coastal’ Mesolithic of North-East England, in Waddington, C. & Pedersen, K (eds). Mesolithic Studies in the North Sea Basin and Beyond. Oxford: Oxbow. ² Jacobi, R. 1976. Britain Inside and Outside Mesolithic Europe. Proc Preh Soc 42: 67-84. ³ Before Present (1950), hazelnut shells are more reliable for aging than timber because they are shorter lived—”old wood” can itself be hundreds of years old before burning. This entry was posted in British archaeology, Digs, Mesolithic, Microburin miscellaneous, Sites and finds and tagged BBC News, Bronze Age, Hartlepool, Hartlepool Mail, Mesolithic, North-East England, Prehistory by Spencer Carter. Bookmark the permalink.